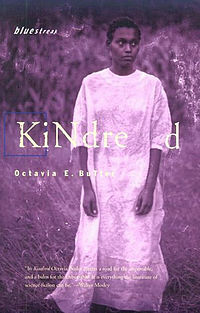 Kindred tells the story of Dana Franklin, a recently married African-American woman living in 1976 Pasadena, California. On her twenty-sixth birthday, Dana embarks on one of six involuntary journeys back in time to Maryland’s eastern shore in the antebellum South. Her time travelling is provoked by Rufus Weylin, a distant ancestor of Dana’s who is the white son of a plantation owner. Each time she time travels, Dana remains in the past for hours, days, and eventually months at a time. As she struggles to survive amidst the emotional and physical abuses of slavery, she strives to challenge her ancestor Rufus about his racist and misogynist beliefs. However, it is Rufus’ resistance to ethical education that lends the novel much of its narrative force. In scenes like this, Butler draws a compelling connection between the logic of racism/misogyny and the petulance and entitlement historically rooted in white masculinity. It should be a moot point that this connection is just as applicable to the present day as it is to the antebellum South. Although Rufus consistently shows that he does not possess the patience or maturity for ethical improvement, Octavia Butler never implies that his outlook is inevitable or – for that very reason – excusable. Rufus is not a passive product of his time; he is clearly aware of what is wrong about his beliefs and behavior, but continues to act selfishly and violently. Sometimes he cobbles together a lame excuse for his actions, but most of the time, he simply acts without justification. 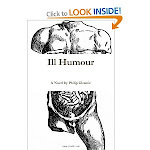 To be sure, there are causes both external and internal informing his character, but Butler never allows her readers to indulge in the dubious reasoning of, “Oh, it was just a different time back then. We can’t blame people for not knowing better.” Rufus Weylin is fully capable of love, goodness, and ethical behavior, yet in him is embodied the scariest element of masculine self-improvement – the unavoidable potential for emotional regression, the tendency to revert to simple, unchallenging beliefs at the first sign of frustration. To this end, Butler's story is a masterpiece of ethical inquiry, not to mention a wonderfully entertaining read.